Chameleons need to eat a diet primarily made up of insects. You have the choice of either feeding them live food, or prepackaged dried insects. Both choices have their upsides and their downsides, which we will go over in more detail in this article. 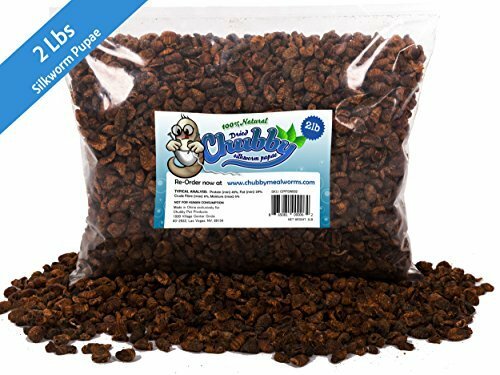 If you’re in a rush and you just want to know the best food for chameleons, we recommend Tasty Bug Treats Meal Worms (Buy Online) if you want a good dried food, and Crickets (Buy Online) as a live food option. Tasty Bug Treats Meal Worms (Buy Online) are an excellent source of essential nutrients for a chameleon. These mealworms come in a re-sealable bag, which will keep air out and help them stay fresh longer. They also don’t need any refrigeration, and they have a shelf life of 18 months when stored in cool dry conditions. These all natural dried mealworms will save you the time and hassle that comes with raising live mealworms. 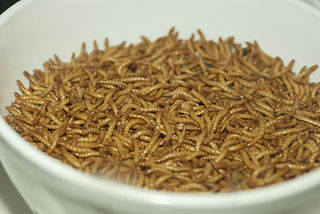 Dried mealworms also cost less money, and they have more protein per pound than live mealworms. In addition, these mealworms are USDA and FDA approved, and they come with a 100% satisfaction guarantee. 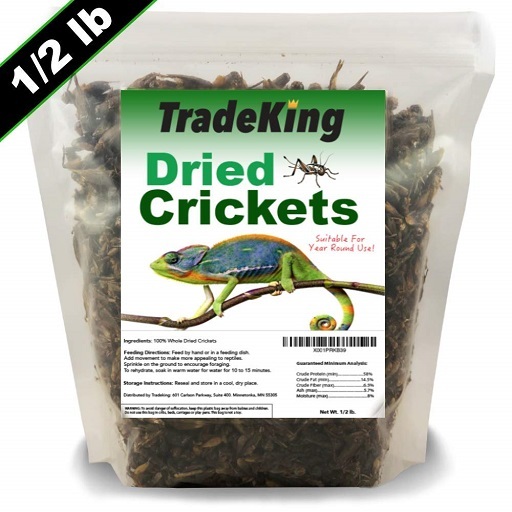 TradeKing Natural Dried Crickets (Buy Online) are a great way to add more variety and nutrition to your chameleon’s diet. These crickets are freeze-dried, and they come in a re-sealable bag to help lock in their freshness. The TradeKing Natural Dried Crickets contain 58% protein, 14.5% fat and 6.5% fiber. They also have been “gut loaded” with fresh fruits and vegetables before they were dried to help enhance their nutritional value. You still might want to dust them with a calcium supplement before feeding them to your chameleon, just to make sure they are getting enough calcium in their diet. Exotic Nutrition Canned Wax Worms (Buy Online) has all the benefits of live food in a nice convenient package. 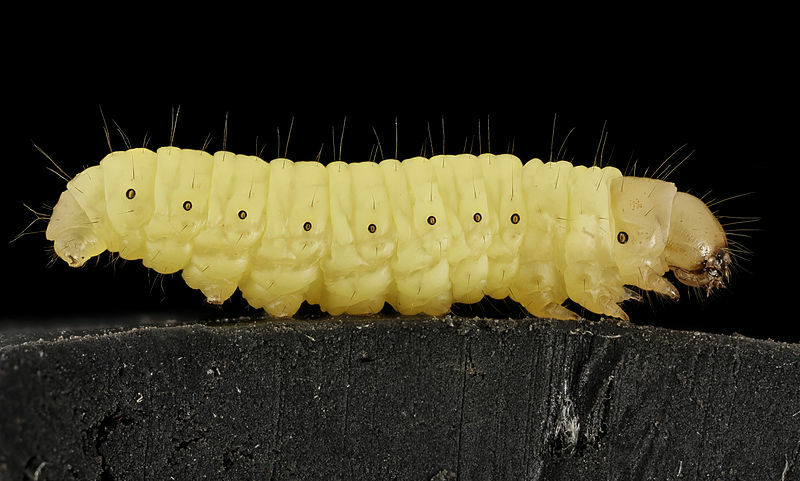 These wax worms are cooked in the can, in order to maintain their nutritional value and flavor. Exotic Nutrition Canned Wax Worms are still moist when you open the can, so they are the closest thing you can get to live insects in a shelf stable package. That means you can feed your chameleon juicy wax worms without having to go through all the trouble of raising live insects. The cooking process helps soften the insect’s exoskeleton, which makes them easier to digest, and the nutrients are more easily absorbed. They are also perfect for young chameleons since you can break them up easily, which makes them much easier to swallow. Exotic Nutrition Canned Wax Worms always come with fast free shipping, so if you need some chameleon food in a hurry they can be at your door in 3 days or less. Chubby Dried Silkworm Pupae (Buy Online) can be a perfect treat to help add some variety to your chameleon’s diet. Dried silkworm pupae are an excellent source of protein and calcium. They are also a good source of essential vitamins and minerals. Silkworm pupae are also very low in fat, so they won’t just be an empty source of calories. 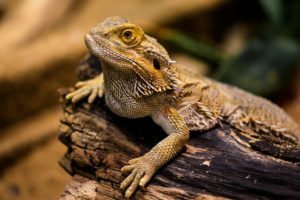 This makes them a great choice for a chameleon on a diet since they won’t pack on the pounds like mealworms, or other high-fat insects. They can be a bit of an acquired taste though, so you might want to soak them first, and then warm them up before feeding them to your chameleon. ROACKIE Dubia Roaches Entree (Buy Online) come in the form of a pellet food that can be used to help round out your chameleon’s diet. 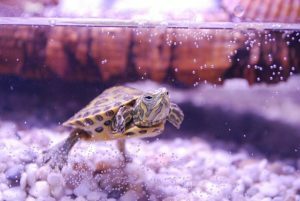 These pellets are made of 100% dubia roaches, which are a very nutritious food for insect-eating reptiles. These pellets also have a long shelf life, and they come in an airtight re-sealable bottle. Even though chameleons prefer to eat something that at least has the shape of an insect, these pellets still might be enticing to an inquisitive chameleon. Even if your chameleon won’t eat these pellets, you can still crush them up and dust them on their food to help add some variety to your chameleon’s diet. 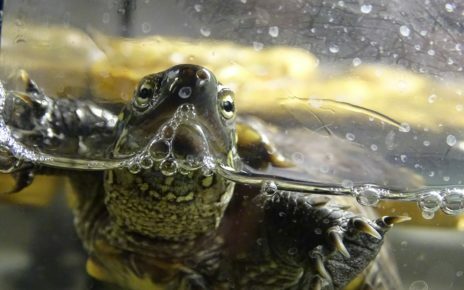 They can also be soaked in water for 30 to 60 minutes to help soften them up a bit, which will help give them the consistency of a live insect. Repashy SuperLoad (Buy Online) is one of the most concentrated gut load formulas on the market. If you plan on feeding your chameleon live insects, you definitely want to get Repashy SuperLoad to make sure they are getting proper nutrition. Repashy SuperLoad contains 20% protein, 5% fat, 10% fiber and it contains a minimum of 8% calcium. The superload formula also contains essential trace minerals, and it is a rich source of carotenoids and other phytonutrients. This supplement should be fed to any live feeder insect 24 hours before you give them to your chameleon. You can also leave a small amount of Repashy SuperLoad in your chameleon’s enclosure, so any insects they don’t eat right away will have a nutrient-rich food source readily available. Crickets (Buy Online) are a staple food in most chameleons diet. For the most part, crickets are one of the easiest and most common insects to feed to a chameleon. They are also very similar to the insects they eat in the wild, so when they crawl around in front of your chameleon they are much more likely to eat them. Crickets are also a good source of nutrition, and they are very easy to fortify with vitamins and minerals. All you will need to do is “gut load” the with Repashy SuperLoad, or any other specially designed cricket food to boost their nutritional value. The average live cricket contains 20% protein, and they have a fat content of 6.8%. That makes them a great high protein low-fat insect that can make up the majority of your chameleon’s diet. Mealworms (Buy Online) are a great live food to feed to a chameleon. 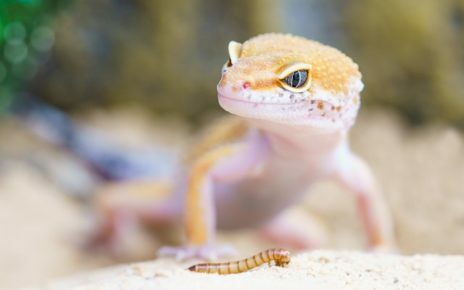 Besides crickets, mealworms are the second most common food found in most chameleons diets. They are also very nutrient dense, so a small amount can provide a lot of calories. Mealworms have an excellent nutrient profile since they contain a good amount of protein, and they are an excellent source of fatty acids. Live mealworms contain 19% protein, and their fat content is 17%. One nice thing about mealworms is that they have a 1 to 1 ratio of protein to fat. That makes them one of the best live insects you can feed to your chameleon to help them reach their full growth potential. Just make sure you don’t feed your chameleon too many mealworms since they can lead to excessive weight gain if you don’t control their portions. Live Waxworms (Buy Online) make an excellent supplemental food to add to your chameleon’s diet. 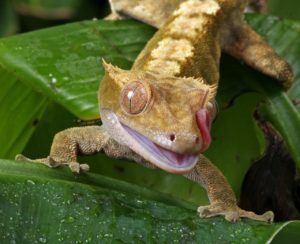 Waxworms are high in fat, so they should not make up the bulk of a chameleons diet. They do make a great treat though, so they can be used sparingly as a way to stimulate your chameleon if they become bored with their normal diet. Waxworms will help if your chameleon is looking a little underweight, or if they are not eating as much as usual. 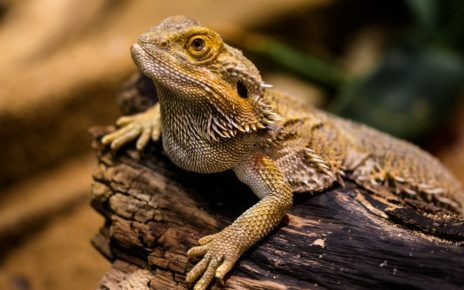 Their high-fat content will make it possible to get more calories into your chameleon without increasing the amount of food they need to eat in the process. Waxworms are not that easy to find at some pet stores, but they are readily available online if you want to try them. Live Dubia Roaches (Buy Online) are very easy to care for insect that can act as a replacement for crickets in your chameleon’s diet. 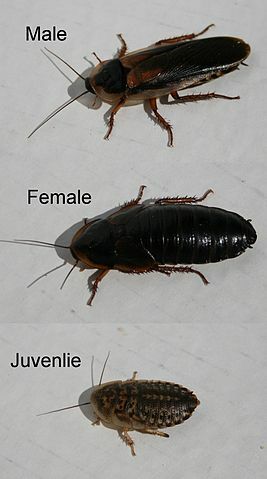 Another added bonus is that dubia roaches are silent unlike crickets, and they are very easy to breed in small spaces. That makes dubia roaches the perfect insect for anyone who still wants to feed their chameleon live insects, but they are sick of all the problems associated with raising crickets. 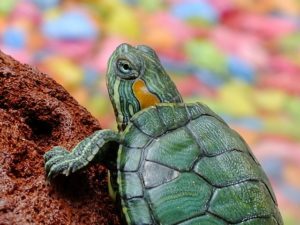 Most pet stores don’t usually carry live dubia roaches, but they are readily available online if you want to purchase them. In captivity, chameleons will mostly eat crickets and mealworms since they are readily available in most pet stores. Although, you should try to add some variety to your chameleon’s diet since they can become bored always eating the same insects. Some good alternative insects include flies, spiders, roaches and spiders. 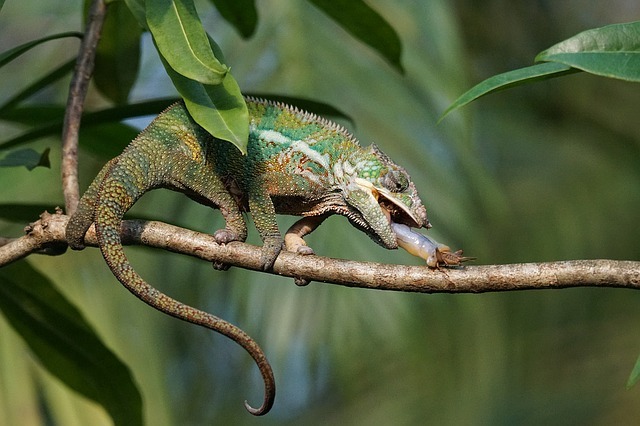 Younger chameleons will have to stick to eating smaller insects in order to avoid choking. As a chameleon gets larger they will be able to eat much larger insects. For example, Madagascar Hissing Cockroaches can even make up part of a chameleons diet in the wild. 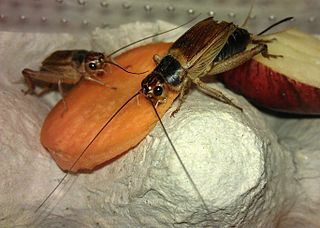 These roaches are the largest cockroach in the world so that just goes to show chameleons can eat some really big insects. The only thing you really need to worry about when you keep a chameleon in captivity is a vitamin deficiency. All the insects they eat in the wild are very nutritious since they are eating everything around them in the jungle or forest. 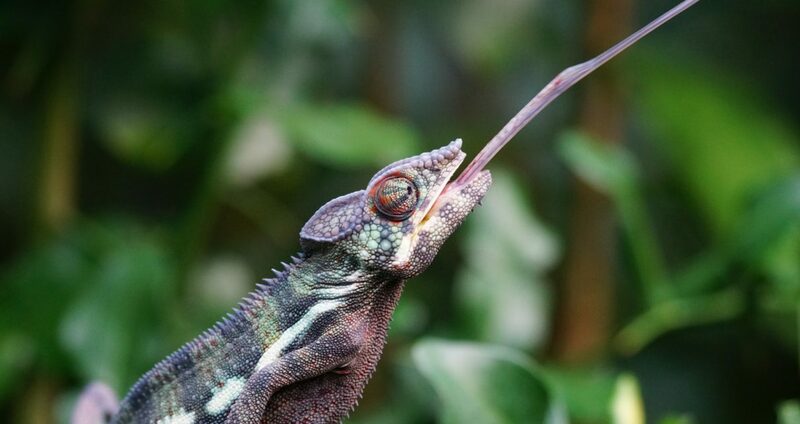 Feeder insects, on the other hand, tend to eat a very limited diet that lacks some of the key nutrients your chameleon will need to be healthy and active. That’s why it is very important to “gut load” any feeder insects, or dust any dried insects before you feed them to your chameleon. 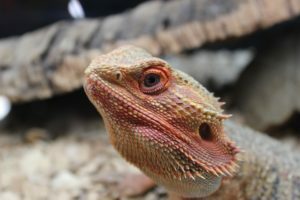 How do Bearded Dragons Drink?